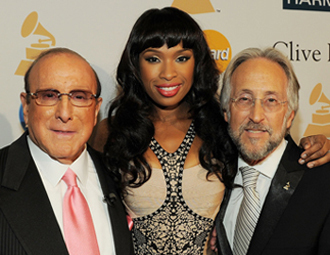 As President/CEO of The Recording Academy® (National Academy of Recording Arts & Sciences), industry veteran Neil Portnow has been a positive force, helping to guide the music industry through this very challenging and difficult period. Not only has Portnow promoted the music community via the tremendous growth of the GRAMMY Awards®, but he has been a spokesman and advocate for the important causes that will protect the rights of artists, musicians, songwriters in the years to come. It was in December 2002 that Portnow became President of The Recording Academy, which was near the dawn of the digital music age. Because of this, Portnow has not only been responsible for overseeing The Academy’s many functions and programs, but he’s also become a leading figure in guiding the music industry through this revolutionary period. Portnow is recognized for building the success and exposure of the Grammy Awards, which just had its largest TV audience in over a decade for its recent telecast. The show, which is held at the Staples Center in Los Angeles, has been an outstanding showcase which spotlights and honors new musical talent, plus established and legendary artists. 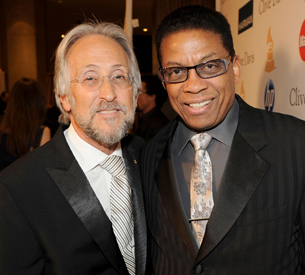 In addition, Portnow helped oversee the opening of the Grammy Museum in downtown Los Angeles (at L.A. Live). As President/CEO, Portnow works closely with The Academy’s Board of Trustees, local Academy Chapters and officers, as well as The Academy’s senior management team to advance The Academy’s goals and mission–including the creative and strategic vision, the operation of The Academy and related entities (the Grammy Awards, the Producers & Engineers Wing, The Latin Recording Academy® and consumer education initiatives). Portnow also serves as President of The Academy’s affilliates: the MusiCares Foundation and Grammy Foundation. Before he headed The Recording Academy, Portnow had a very successful career overseeing record companies (as label President), as an A&R and music publishing exec, a record producer, music supervisor and musician. Immediately prior to his current position, Portnow worked for 13 years at Jive Records/Zomba Music Publishing, as Senior Vice President of West Coast Operations. He handled executive duties for Zomba’s labels (Jive, Volcano, Verity, Silvertone), its music publishing division, and Zomba’s large film & TV music operations. Before Jive/Zomba, Portnow held posts as Vice President of A&R for both Arista Records (working with CEO Clive Davis, Whitney Houston, Barry Manilow and other artists) and EMI America Records (working with David Bowie, the Pet Shop Boys, Robert Palmer). Before that, he was also Senior Vice President and then President of 20th Century Fox Records. And prior to this, Portnow got his start as a staff producer for RCA Records, as a music publishing exec for Screen Gems, and as a pro studio musician (playing bass and guitar). 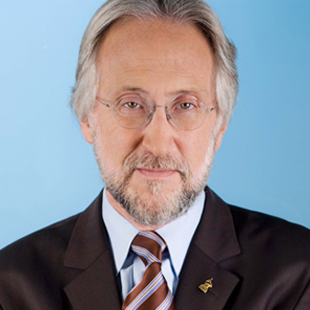 We are pleased to present this special Q&A interview with Neil Portnow. He discusses The Recording Academy and the Grammy Awards, the state of the music industry, and many of the issues which are facing the music community today. DK: Congratulations on the success of the recent Grammy Awards show; I read that the telecast got very high ratings. Portnow: The ratings showed that we had the largest TV audience in the past 11 years, with 26.7 million in the U.S. And the Grammys were broadcast to more than 170 other countries–we’re just about everywhere. DK: It seems like the Grammy show has become a bigger production each year, with more dancing and special effects. Portnow: We look at the show as a fresh canvas to paint on every year. There’s no particular model. We want it to be the best televised concert in the world. We base our show on the artists who have been nominated, who reflect the music that’s been released during the past year. DK: The popularity of the Grammy show seems to indicate that people’s love of music remains very strong. Portnow: I would certainly hope that the love of music is going strong. The Grammy show is unique–there’s an interest in music from fans all around the world. People can watch the 3 1/2 hour telecast and see the best of the best in music. They can also find out about outstanding new artists. The show also features great Grammy moments, such as the unique pairing of artists and performances (such as the pairing of Bob Dylan with Mumford & Sons and the Avett Brothers, and the tribute to Aretha Franklin). DK: The music business is certainly experiencing difficult times now. How do you feel about the state of the music industry? Portnow: Obviously from a business standpoint, these past years have been difficult, challenging and transitional. But the bottom line is that music is not going away, and it never will. Interest in music worldwide is at an all-time high. We need as an industry to figure out the business model to be profitable for artists & musicians, and for entrepreneurs and the corporate side. I think there are a number of issues. One of the big issues is piracy and illegal use of content, and the protection of intellectual property. On a government level, more attention needs to be spent towards rectifying this issue. Another element is establishing more common ground between those who make the music and distribute the music. There seems to be some hope in terms of both sides being willing to establish a dialogue on this. 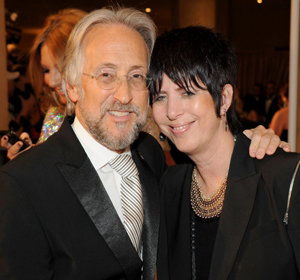 Neil Portnow and hit songwriter Diane Warren. One constant is that the creative community will not stop making music. Despite the challenges our industry faces, the musical talent is astounding. That’s what is most important. DK: At this year’s Grammy Awards, there seemed to be more indie artists who won and were nominated. Will this be a growing trend at the Grammys? Portnow: I think there were a number of factors why indie artists made a strong showing at the Grammys this year. More music is being produced by independent artists, while at the same time there’s been a reduction of major labels and their number of releases. So there’s less music being produced by major labels. This becomes an opportunity for the independent sector and for entrepreneurs. Historically, indie labels have started as small boutique labels and some have risen to become very successful companies. That’s a good thing. Today more music is being produced by the indie sector than ever before. For the Grammys, we’re reaching out more to indie artists & labels. This year we received close to 20,000 entries for Grammy consideration, which is a new high. We’re proud of that and we think it reflects the times. There’s no monopoly–great music can come from everywhere. Our membership is more diverse than ever. The Recording Academy now has 20,000 members, which consists of 12,000 voting members and about 8,000 associate members. In addition, we now have the Grammy University network for college students, which helps students prepare for careers in the music industry, via networking, programs and performance opportunities. It’s a new category of membership. We’re pleased with the Grammy University network because it’s the next generation of music makers. DK: Digital music sales have leveled off during the past year. How can we boost digital sales, since CD sales continue to decline? Portnow: As an industry we have to be prudent, and not kill off the CD business prematurely. There’s a lot of people who still enjoy CDs and having the physical product. In the digital realm, the big picture will be decided by the consumer. How do they want to get their music? With digital music sales, it’s been largely a track world, where single tracks are purchased rather than the full album. iTunes took an early lead in shaping this business model. There have now been a couple of generations which have grown up on the track business. Of course, there still outstanding artists like Arcade Fire or Radiohead who create bodies of work; the album art form continues to be important. But in the pop world, singles are the big business. DK: Some music experts think that streaming is the future for music sales. Do you agree? Portnow: I’ve heard of number of people who advocate streaming, but it’s too early to tell. The question is, what is the price point for the consumer? And can streaming generate enough income to be a successful business model for the music industry? I think we’re in the midst of an evolutionary process. Based on the way technology is going, we’re entering a period of time where multiple formats will exist side-by-side. DK: Currently with music sales declining, most music publishers and songwriters rely on performance income for a large share of their royalties. Do you see this trend continuing, with performance income being a big source of income? Portnow: There’s a value placed on the song; a songwriter has a basis to be compensated. The government needs to continue to support the rights to performance income for songwriters so they remain protected. We need to protect all income streams for songwriters & publishers, and certainly performance income is an important income stream. Recording artists also deserve royalties from performance income. This is an inequity that we’ve been working to correct for several years now. Artists also deserve to earn performance income. Most countries around the world already pay artists their performance income royalties. It’s only the U.S., China, Iran, and North Korea which don’t pay artists performance income. We are working to repair this flaw. I want to make it clear that artist’s performance income will not be at the expense of songwriters and publishers receiving their performance income. We will not allow one penny to be taken away from songwriters and publishers. As in the rest of the world, these two royalties go hand-in-hand. DK: What are the main programs that The Recording Academy provides for young artists and songwriters? Portnow: We have several programs and organizations which help young artists, writers & musicians. We have the Grammy Foundation which provides programs and activities at high schools. We’ve set up competitions among high school music departments for cash grants across the country. Grants can really help high school programs which don’t have the budget for music. In addition, we also have Grammy Camp for high school students. We’ve held Grammy Camp in Los Angeles in the summer for the past six years, and this summer we’ll be hosting Grammy Camps in both Los Angeles and New York. We also have our Grammy Career Days for high school students, which consist of industry panels, workshops, and performances. These are held in our 12 chapter cities across the U.S., and are a great opportunity for students to learn about all aspects of the music industry from those who work in the business. We also have our Grammy University Network program, or Grammy U, for college students who are planning to pursue a career in the recording industry. We have more than 300 colleges and universities affiliated with the program, more than 4,000 student members, and a Grammy U student rep in each of our chapter cities. Another important interface is our Grammy Museum, which is in downtown Los Angeles at L.A. Live. The Grammy Museum is open 365 days per year, and it provides a terrific opportunity for music fans and students of music to learn about the industry. We conduct a number of educational programs at the museum–we annually bring in 15,000 students who visit the Grammy Museum through various programs. The museum also features many excellent live performances in the Clive Davis Theater. The Recording Academy welcomes everyone interested in music and the industry; we cover a broad spectrum of the creative community. Certainly, the songwriter community is a vibrant part of our membership. We welcome your readers to go to the Grammy.com website and take a look at all the programs, and to sign up and become a member. DK: What social networking sites does The Recording Academy have? Portnow: The Recording Academy engages fans on a variety of social media platforms. You can find @TheGrammys on Twitter, Facebook, Foursquare, Tumblr and YouTube. 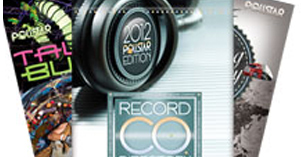 We now also have Grammy365.com, which is a robust social networking site designed specifically for our members. It’s a great place for serious music industry professionals to meet online and share job opportunities, music, and insights with their peer group.